By in Uncategorised on 11th January 2016 . Kaitlyn has been busy the past few weeks! A trip to the Alps, Christmas in Munich, and New Years in Barcelona! A week before Christmas, Kaitlyn and Ozzy went to see the Alps in Austria. They thought about hitting the slopes, but with only 2 inches of snow, they decided to just visit the top of the mountain. For Christmas, the two went to spend some time with some of Ozzy’s family members in Munich. Unlike the American Tradition of Santa Claus coming down the chimney on Christmas Eve night, in Munich (at least the people Kaitlyn was with) celebrate it a little differently. Kaitlyn also went on to note that Germans seemed to put a little more emphasis on Christmas Eve rather than Christmas Day. For the Christmas Eve dinner they went all out with soup and a roast. Whereas on Christmas Day, they enjoyed a traditional pizza. 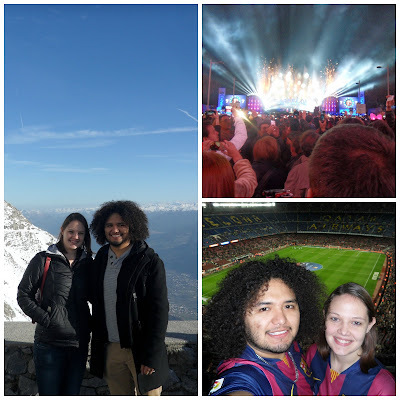 To celebrate New Year’s, Kaitlyn and Ozzy went to Barcelona! For those of you who haven’t had the privilege to travel to Barcelona, Kaitlyn explained that parts of it are a lot like Mexico, with shops on every corner. 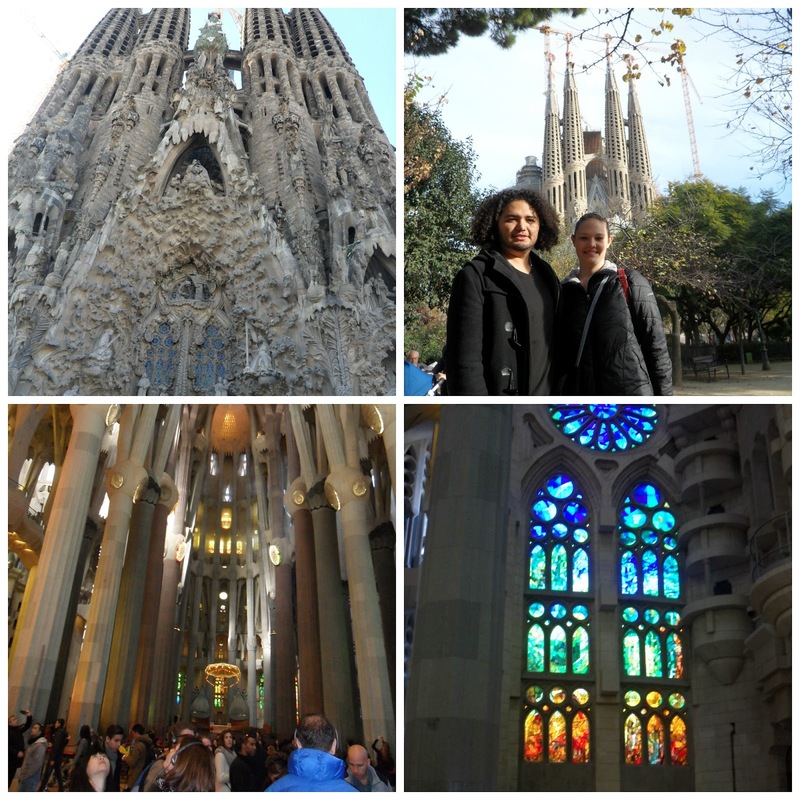 While in Barcelona, Kaitlyn and Ozzy also checked out La Sagrada Familia. The La Sagrada Familia is a cathedral that has been under construction since 1882. Although the original architect, Antoni Gaudi predicted it would take 200 years to complete, it may take even longer than that!